Item is a medium format, twin lens reflex camera for 6 x 6 cm exposures on 120 format film. Lens is an Anistigmant 75mm, F2.5 with a cloth focal plane shutter (speeds from 2 second to 1/500th). 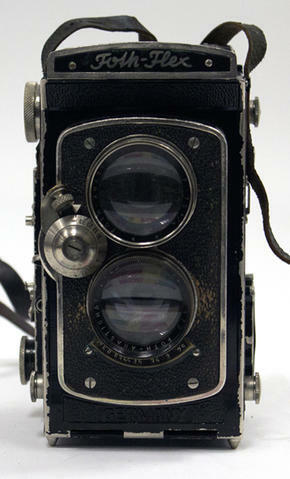 This model of camera was available in both left and right-handed models.